If you’re looking for really great Introductory Microsoft Excel 2016 training you’re in the right place. Companies large and small choose us – why? Your own tailored, Microsoft Introductory Excel 2016 training course, at your own premises at the same price as a standard course from elsewhere. Visit our blog If Only I’d Known That,. We have called it that because we hear it so many times in training sessions. If only we had an extra £50 for every time someone says “If only I’d known that.” ….! For example, you may have been working on several Excel workbooks. You have now finished for the day. You want to close all open workbooks. You want to save the changes in each of them. With the workbooks open, hold down the Shift key. Click the Close button at the top right of the Excel Title bar. A box appears asking whether you want to save changes to the active workbook. Click Yes To All to save changes to all workbooks and close them all. Prices are PER DAY, and NOT per-person! E.g. if there’s 6 people on the course, you pay £595 + VAT. Our Microsoft Excel training courses London, are available not only in London, but Surrey, Middlesex, Richmond, Twickenham, Hounslow, Brentford, Putney, Wimbledon, Staines, Egham, Feltham, Reading, Kingston, Croydon, Epsom, Woking, Banstead, Farnham, High Wycombe, Crawley, Sutton, St Albans, Fulham – in fact anywhere within the Home Counties and M25 corridor.In fact we train anywhere within the Home Counties and M25 corridor. 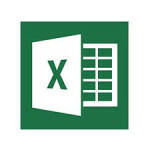 We have Microsoft Excel trainers in Twickenham, Richmond, Ashstead, Lightwater, Ascot, Central London, New Barnet, Ilford, Surbiton, Slough, St Albans, Bushey, Crowthorne, Basingstoke, Whiteley, Wembley, Thatcham, Watford, Wallington, and Romford ! If you are based within 30 miles of any of these locations we would not charge travel expenses for the trainer. We can still provide Microsoft Excel training courses outside these areas. We would then, however, need to charge for the travel expenses of the Excel trainer.